NES cleaning kits come in many forms, and over the years I’ve owned a few different kinds. 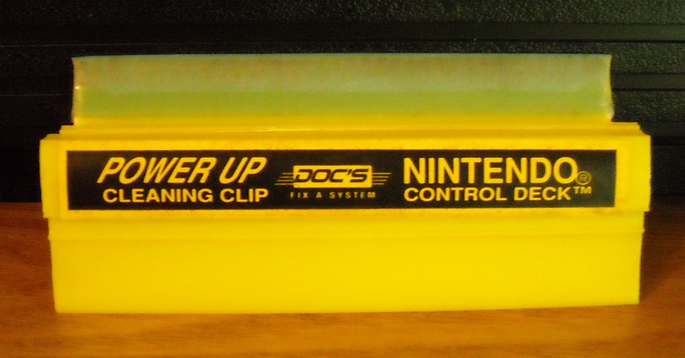 Yesterday I acquired an old Doc’s Fix a System cleaning set that included a broken NES cleaning head. The NES cleaner would clip into any of your NES cartridges and you could senselessly stab your NES until it was clean. Since the NES cleaner was broken I figured it was trash, until I had a brain storm. 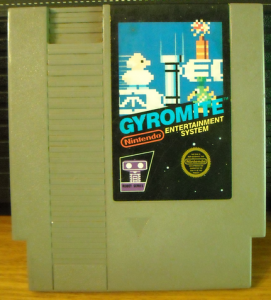 Why not put it into a spare NES cartridge and make it look like an NES game? Genius! At least I thought so. I decided to use my (non-converter bearing) Gyromite cartridge for the cleaner’s new home, as it had done nothing but take up space anyway. I first removed the game’s ROM board and then modified the cleaning head to fit inside the cartridge. 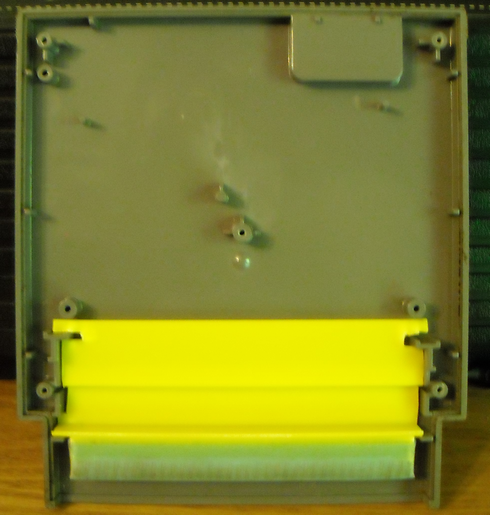 I also had to modify the cartridge to allow the whole thing to close properly. Everything went smoothly and turned out great. This is a simple project if you have both items laying around, and it only took me about 10 minutes. If I had the right tools it may have taken less, but the success was the main goal and that is what I achieved. All I need to do now is remove the Gyromite label and replace it with my own concoction.